The death of the Venezuelan leader underscores the dangers of Beijing investing in governments closely tied to a single individual. The death of Venezuela’s charismatic and controversial President Hugo Chavez has seemingly surprised many, despite a long and well documented struggle with his illness. 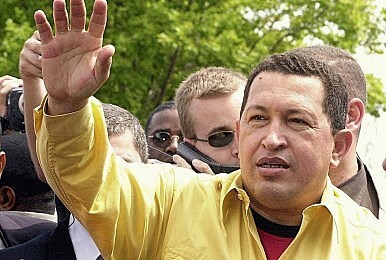 Chavez’s international politicking was the main reason for much of the global attention on him, and his forging of relationships with countries hostile or troublesome to the United States has been a recurring theme throughout his tenure. Yet it is perhaps the relationship between China and Venezuela, which has blossomed during Chavez’s extended term as President, which is now of most interest. For all his anti-U.S. rhetoric, the United States was still the largest single importer of Venezuelan crude oil even if the trend in recent years (in part thanks to the remarkable U.S. energy revolution) was decidedly downwards. Both as part of his anti-U.S. Strategy and for domestic economic reasons, Chavez increasingly found a willing partner in China. China’s demand for oil has been growing in line with its economy, and indeed it is now the largest importer of oil in the world. Venezuela became a natural target for China’s sometimes confusing policy of engagement and support as applied to many poorer but rich-in-resources economies. Indeed, many aspects of China’s relationship with Venezuela can be seen within Beijing’s relationships with a whole host of other nations, many in Africa and the Indian Ocean. These include soft-seeming loans with fewer human rights, governance or transparency “strings” attached, but with apparent requirements that much of the funding be used to contract Chinese state owned enterprises (SOEs) to build infrastructure such as railways and roads along with other large construction projects including power stations. The SOEs invariably import Chinese workers (China “exporting unemployment”) which can cause tension in poor countries with high unemployment rates. Meanwhile, the credit is extended by Chinese policy banks (such as China Development Bank or the Export-Import Bank of China) sometimes in conglomerates with other state owned banks all benefiting from their “subsidized” cost of capital – alongside the state owned construction firms. Future supplies of raw materials (such as oil, timber or minerals) are contracted to repay the debts, and extraction is normally facilitated by some of the infrastructure created. Often these deals have been partly enabled by China being able to fill “gaps” left by firms from other countries. “Western” firms are often reluctant to invest in such places due to such concerns as corruption, the negative PR generated from doing business where human or political rights are a serious issue, and often a lack of trust due to recent memories of nationalizations – Venezuela arguably exhibiting all three. The fascinating book China’s Superbank delves into the workings of the massive China Development Bank (CDB) and dedicates a whole chapter to that institution’s exposure and dealings with Venezuela. Indeed, China’s exposure to Venezuela may now top USD $50billion, according to Michael Forsythe and Henry Sanderson, authors of China’s Superbank. Although Venezuela is almost certainly safe for China’s investment still (absent a shock result in the mandatory election or other political instability), many will remember the scenes of China trying to evacuate tens of thousands of workers from Libya while worrying over the security of its investments in the country as Gaddafi fell. Although the gaps left by western firms may be a competition-free, natural place for Chinese investment, there are often risks of being caught on the wrong side of any successor regime should instability become serious. By way of comparison, Iran was a very comfortable place for American and British firms before the Shah was overthrown. Whilst Chavez’s death and legacy will remain a hotly debated topic, his passing reminds us of the dangers of building close ties with a centralized regime based so closely on a single personality. China’s appetite for raw materials, particularly energy, looks set to continue growing, and Beijing is therefore likely to continue investing in energy-rich countries. The associated political risks, China hopes, will remain mostly distant and manageable. Beijing and Caracas inked a number of agreements ahead of Nicolás Maduro’s state visit to Beijing this weekend.